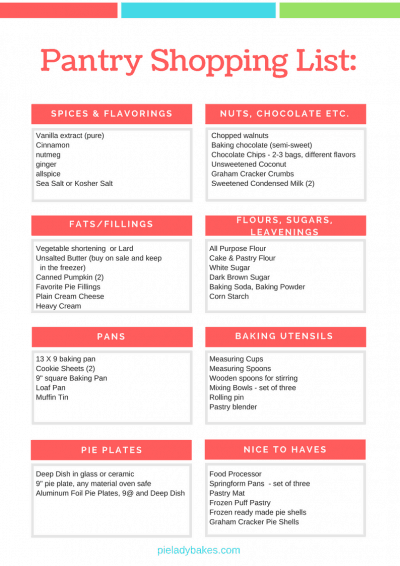 The Very Best Tomato Soup Spice Cake & Muffin Recipe! This vintage tomato soup cake recipe is a delicious and moist spice cake, that can be topped with powdered sugar or cream cheese frosting. You can make it as a cake or muffins, like I did! No time to bake right now? PIN IT for later! Yes I know. 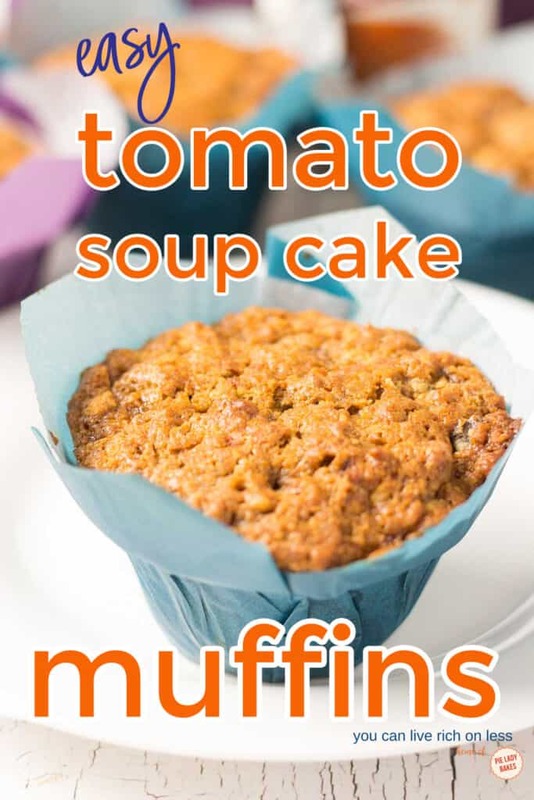 The thought of putting tomato soup in a cake, let alone muffins is causing icky faces everywhere. Just like what happened when I made my Chocolate Mayonnaise Cake! But stick with me ok? 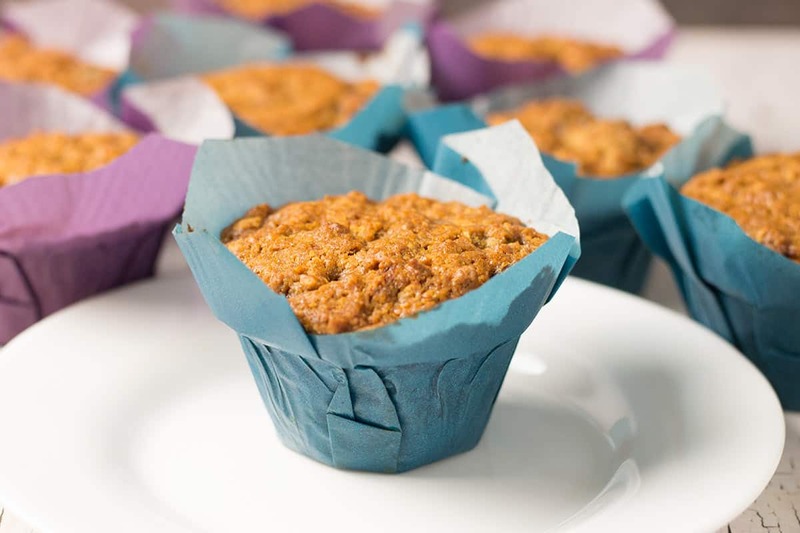 This cake recipe, that I’ve made into muffins, is full of heavenly spices, and there is absolutely no tomato soup flavour at all! I think muffins are the perfect way to bake a cake. Just a handful (or two if they are really big) muffins can be baked in batches, frozen to keep fresh, and enjoyed with coffee or tea, for breakfast, any time at all. This recipe is like taking your favorite spice cake batter and making into muffins or cupcakes if you prefer. I think the texture is heavy enough to call them muffins, and they are just so yummy loaded with sweet raisins and finely chopped walnuts. We made it eggless too – not because of any allergies, but because I ran out of eggs! 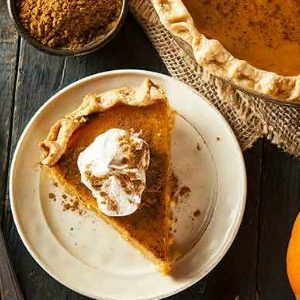 You will need: flour, sugar, baking powder, baking soda, tomato soup, unsweetened applesauce, cinnamon, allspice, ground cloves, raisins and chopped walnuts. Grandma was a young bride during the Depression era – the 1930’s, when the stock markets crashed, and people were left with no homes, no jobs, and very little food. When both my grandparents would tell me about that time, to me it sounded awful! How could people survive? Grandma said they ‘made do’ with what they have. That phrase ‘make do’ has stayed with me my entire life. My grandparents also lived on a farm, so they not only grew their own vegetables and some fruits, but they also raised their own meat, with chickens, lamb, a pig every now and then, and they also had cows for milk. Grandma said that sometimes they didn’t really know how they were going to pay for something, but then the milk cheque would arrive, and everything would be fine again. They were dear God fearing people, and I miss them every day. So what’s all this got to do with a recipe for Tomato Soup Cake Muffins? Well I guess by sharing a little family history with you, I was demonstrating that there are many ways to create delicious foods by being a little bit creative. This 1950’s Tomato Soup Cake is really a spice cake recipe. 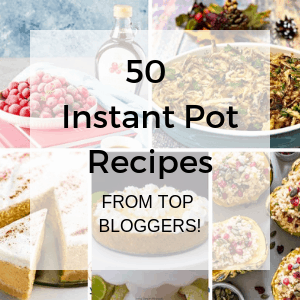 But I’ve also seen recipes for a Tomato Soup Chocolate Cake! I haven’t tried that yet, but maybe someday? 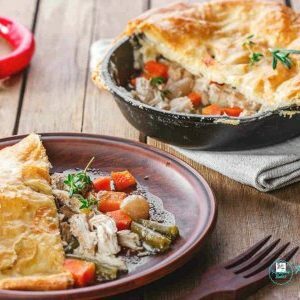 Even though the recipe was first introduced in the 1930’s, it has endured to 2019! If you google search tomato soup cake, there are lots and lots of recipes, in addition to the one in the Campbell Soup Cookbook! Always use fresh ingredients, check your expiry dates on baking powder & baking soda! 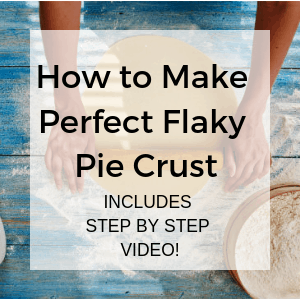 Gently fold the dry into the wet ingredients and only stir until moistened. Will I taste the tomato soup in the cake? Not at all. While the tomato soup adds the liquid needed in the cake batter, there is absolutely no tomato taste! Why does the recipe call for Tomato Soup? The origin of the tomato soup cake recipe actually starts in the 1930’s during the Depression. The Campbell Soup Company adapted it in the 1940’s when it was a steamed pudding and early photos show the cake being steamed in the soup can. Today the recipe includes butter and eggs, which of course were often scarce in the Depression. 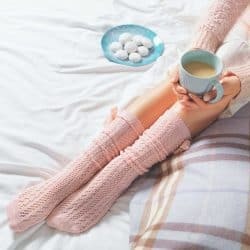 Can I make the recipe into a cake instead of muffins? Absolutely! This batter is perfect for a square 9 X 9 baking pan. Can I use something else other than Tomato Soup? No this recipe is best if you use condensed tomato soup from a can. We used Campbell’s. 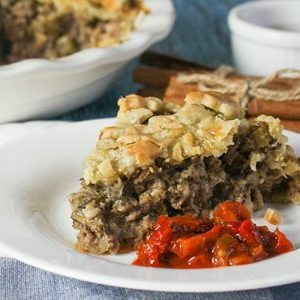 Is this a Tomato Soup Cake Recipe without eggs? Yes. Eggs weren’t always available in the depression, so egg substitutes were used. Unsweetened applesauce is a great substitute for eggs. I recommend buying the small packs of individual cups, so that there is less waste. 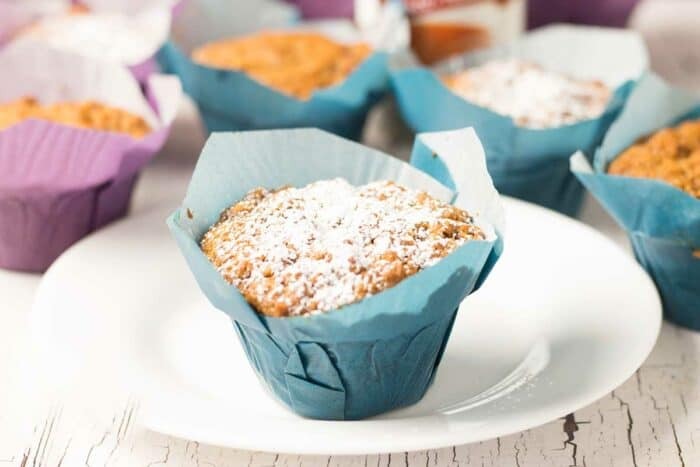 These tomato soup cake muffins are so rich in flavour we just dusted them with powdered sugar! These muffins are the best. Crunchy sweet tops, packed with raisins and walnuts, and the blend of spices is just right. The tomato soup gives them a reddish gold colour and that’s just fine. You can double the batch so that you have some muffins now to enjoy with family and friends, and a dozen for the freezer! They are wonderful in lunches, and with a cup of tea. Just pop one in the microwave for a few seconds to warm them up and then slather with butter. I think a really good marmalade would enhance the rich flavors. 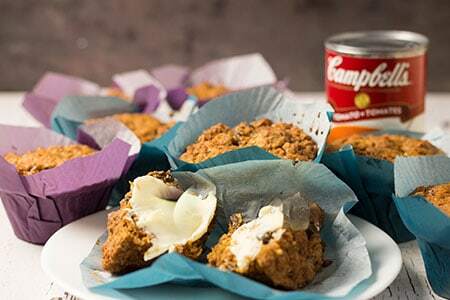 And of course, you can tell everyone that these amazing muffins that you just baked for them have a full can of tomato soup in them. Or not, that’s up to you. A rich and moist spice cake that has tomato soup as a main ingredient! We made this vintage recipe without eggs and made the cake batter into muffins. Fold all together, mixing lightly. Do not overmix muffin batter. You will see the flour isn't completely mixed in but don't worry about that. Bake in a 350F oven for 20-25 minutes. Muffins are done when the tops are golden, and a toothpick comes out clean. 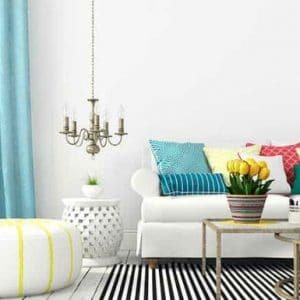 Let cool and enjoy! 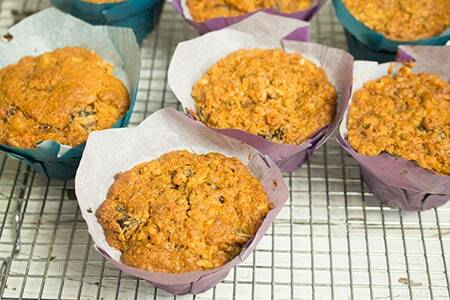 Place generous spoonfuls into the muffin cups. I used lotus muffin cups by Paper Chef, so it was about 1/3 cup of batter in each. If you want 12 muffins use regular muffin cups and put 1/4 cup of batter in each cup. I loved using the tall paper cups, there are so many varieties! Tulip and Lotus cups are very popular. These are one of the best rated tulip muffin cups and Amazon Choice! You can sprinkle your muffins with powdered confectioner's sugar or make your own cream cheese frosting! 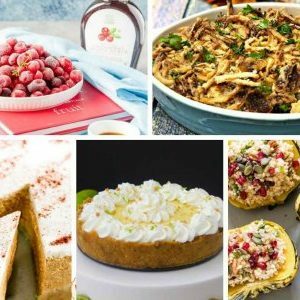 We have lots of great recipes for you to enjoy! Have you ever made Rugelach cookies? 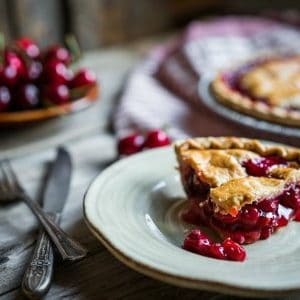 Sweet Italian Easter Pie – you’ve got to see this recipe! An elegant apple tart made with frozen puff pastry! An Upside Down Apple Cake? 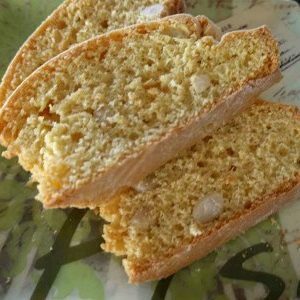 We love these biscotti – shhhh! It’s a cake mix recipe! 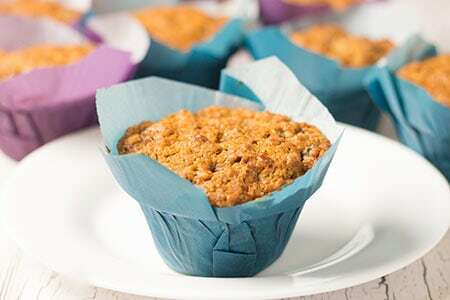 Sweet Apple Crumble Muffins are perfect for breakfast! 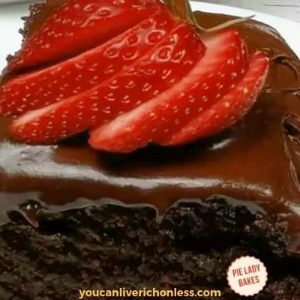 The very best chocolate cake! 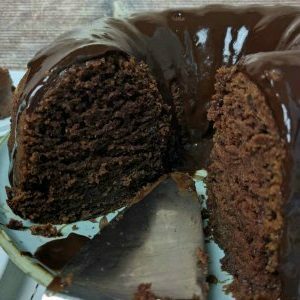 And if you are looking for more recipes with crazy ingredients, check out the Wacky Cake by Brown Eyed Baker. This is another eggless recipe, but you will be surprised by what else is missing in this cake! This retro 1950’s Tomato Soup Cake recipe is a winner, either as a cake or made into muffins. 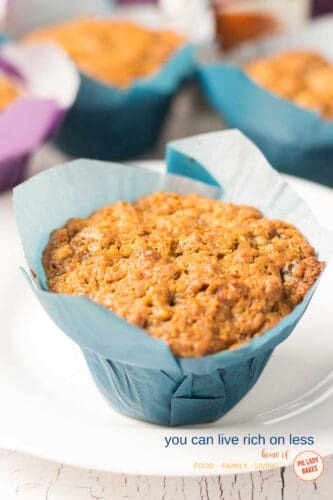 The incredible aroma while these muffins were baking conjured up visions of a cozy country kitchen, where the stove is the focal point, and delicious goodies are created with love.